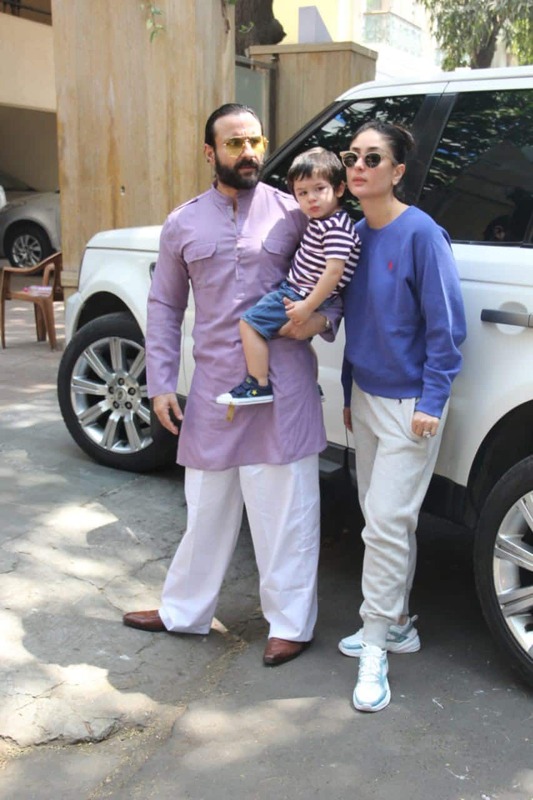 Bollywood superstars Saif Ali Khan and Kareena Kapoor's Taimur Ali Khan is the most searched celebrity on Instagram. He has surpassed the popularity of his family members, who are some of the A-listers in the film industry. The little munchkin was spotted chilling with his parents on a Sunday afternoon. 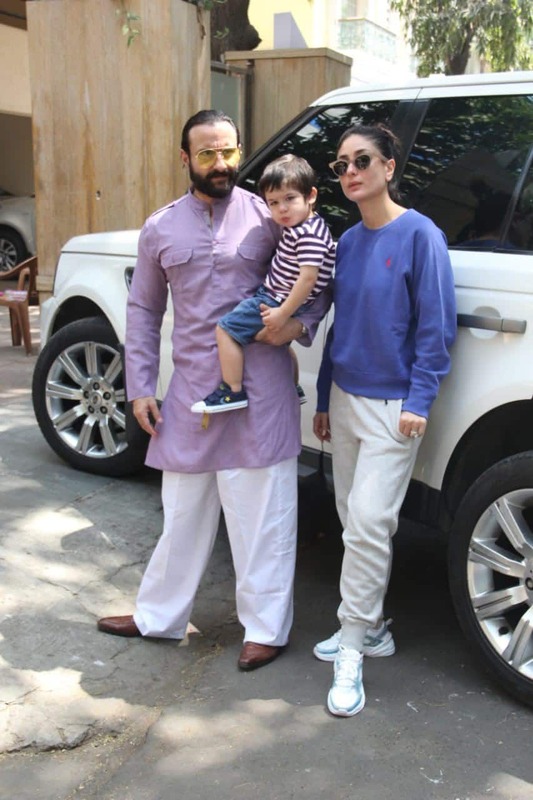 Saif looked regal in his signature kurta pajama while Kareena slayed her casual look in a purple sweatshirt and joggers but the one who stole everyone's attention was their kid. 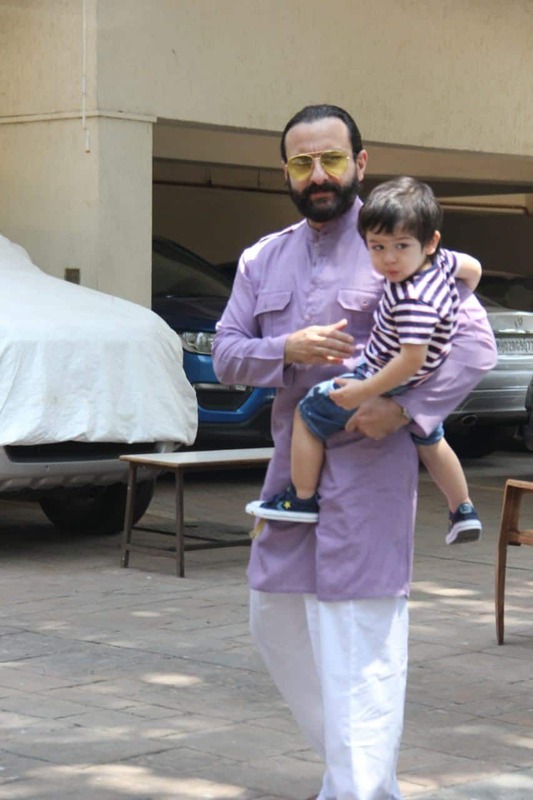 Taimur donned a striped t-shirt and blue denim shorts. All of two, Taimur has learned to address the paparazzi as media and often greets them by saying 'Hi' and 'Bye'. In some of the pictures, Taimur can be seen pouting just like his mommy Kareena Kapoor. Saif, Taimur and Kareena were spotted chilling on a Sunday afternoon.